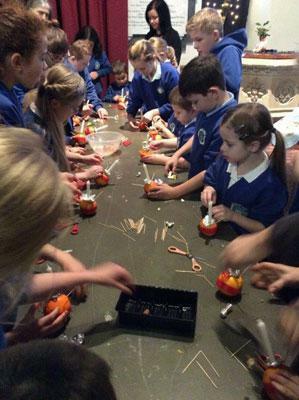 On Tuesday 13th December we had our Christingle service in Saint Peters Church. Tiegan played her violin to the parents and friends as they came into church. 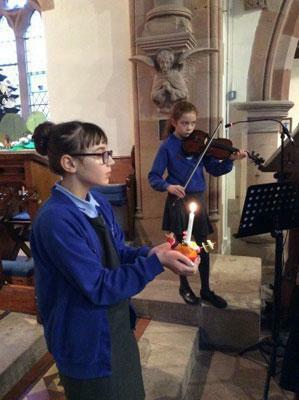 The children made their Christingles and learnt what each part represented; they were lit whilst we sang the hymn ‘Away in a Manger’. 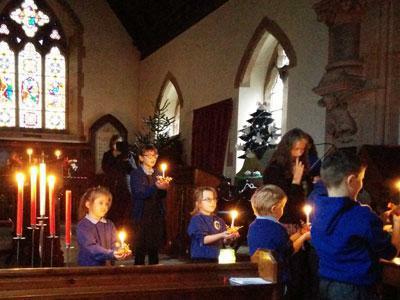 The Y5/6’s explained the meaning of Christingle and read a poem. 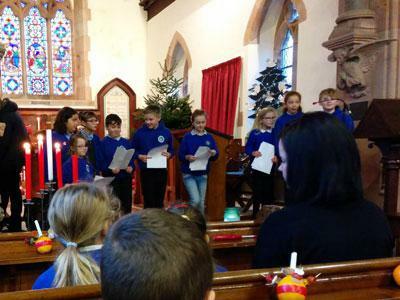 We sang a selection of hymns before enjoying our refreshments and sweets from our Christingles.